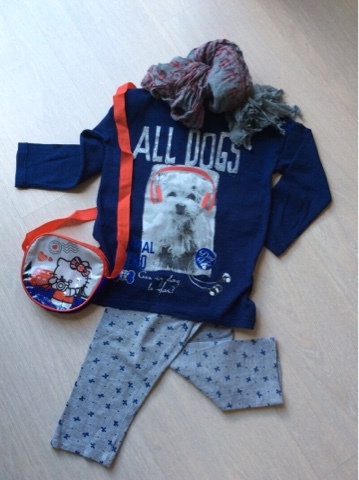 Un look per il tempo libero. 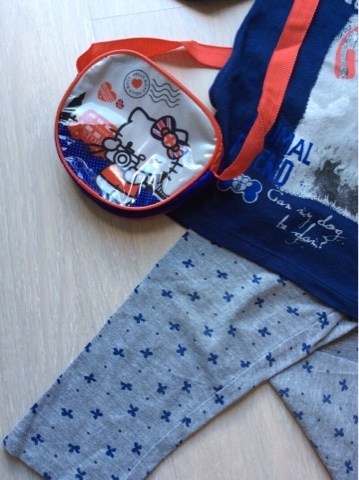 Tee Animal Friends in blu elettrico, leggings in grigio con richiami in blu e tracollina con dettagli in rosso per ravvivare il tutto, in prestito sciarpina in cotone indiano del papà. Free time look. 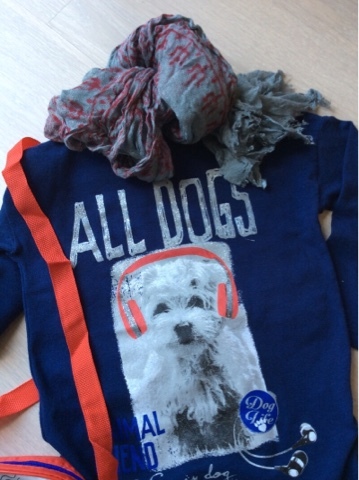 Animal friends tee in electric blue, gray leggings with refernces in blue and shoulder bag with red details to liven up the whole, Indian cotton scarf borrowed from Dad.